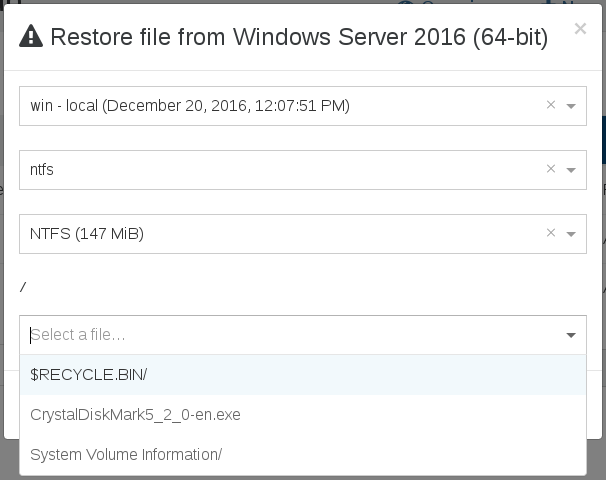 You can also restore specific files and directories inside a VM. It works with all your existing delta backups. You must use the latest XOA release. When you connect with the console, you should see Build number: 16.12.20. If you have this or higher (eg 17. *), it means that&apos;s OK! Otherwise, please update your XOA. Restoring individual files from an SMB remote is not possible yet, but it&apos;s planned for the future! That&apos;s it! Your chosen file will be restored.